Our horses are really the stars of the program and make what we do possible! Jack is a 15 year old Percheron cross from Texas. He moved up to Washington to join the Promise 23 herd in July of 2016. He has traveled miles of trails, worked as a camp leader’s horse, done working equitation clinics, and taken care of beginners…a little bit of everything! 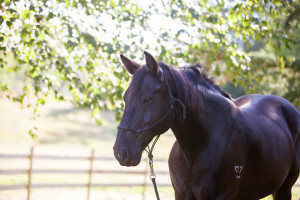 He gets along with everyone, horses and humans alike, and is kind, gentle, steady, strong, and sensitive. He immediately connects with our dear ladies, and is a favorite around the ranch. Quasar, or “Q”, is a 14 year old Arabian/Quarter horse cross (Quarab), and Jennifer’s daughter, Gabrielle, is his person. The two have an amazing connection, and she generously shares him with Promise 23. He is the smallest riding horse in our program but makes up for it with a big personality! Q is very dependable with new riders, and loves the trails. He connects well with riders who are ready to “go a little faster.” When not helping in sessions, Q lives at home with Jennifer and her family. 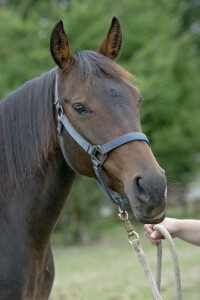 Bella is the youngest horse in the Promise 23 herd. She is 6, and Mary Beth is her human. 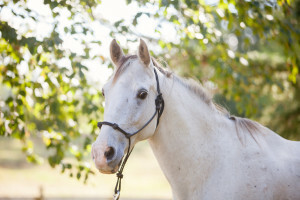 Bella is a sweet mare who is becoming a confident partner. She came from a show barn where she was just another project, but now she has a meaningful job to do and friends to be with. 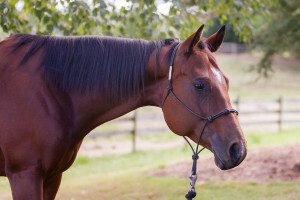 Bubba is a 21 year young quarter horse gelding, and is Mary Beth’s retired show horse. He absolutely loves attention and is generally our mascot and moral support. With his twinkling eyes and mischievous personality, he often provides us with comic relief. He also is sensitive to the moods of the person and has a knack for quietly connecting, especially if someone is sad. He also teaches us a lesson in perseverance through pain. Bubba has a chronic hoof issue that prevents him from being ridden anymore, but he still loves life and everyone around him. 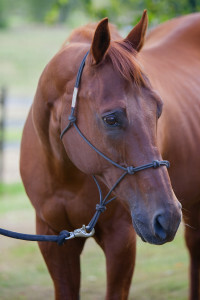 Billy Bob is a 21 year old Quarter horse. He was a racehorse in his younger years! Nowadays, he loves trail riding, and he and his owner Kitty spend a lot of time hitting the trail. Billy is the tallest horse in our program, but also one of the calmest. He loves a good grooming and makes fantastic faces when you find his favorite itchy spots. He is wonderful for new riders, despite his size! Thank you Kitty for sharing your sweet boy with us! 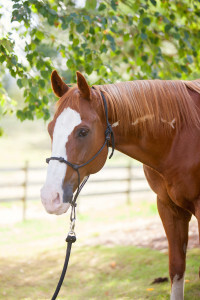 Cody is a sweet Paint gelding, and is Jennifer’s personal horse. When he came to her, he was pretty convinced that the world was out to get him and everything was going to eat him. As Jennifer helped Cody build confidence and face his fears, she also discovered some of his fear was rooted in physical “quirks”. For example, Cody has an extra big tongue. When he spooked and lifted his head, his tongue would also lift and actually close off his airway, causing him to further panic. Through Jennifer’s patience and understanding, Cody is now our confident groundwork master. We use him in the round pen and for non-mounted activities. Many of our ladies connect with his story of overcoming fears. 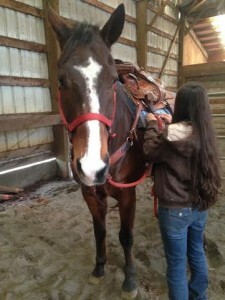 Breeze is a 14 year old Quarter Horse/Missouri Fox Trotter cross, and session leader Vanessa is her human. She has traveled across the country 4 times going between Texas and Washington, and has done a bit of everything from being a camp horse to a show horse. Her favorite thing is getting out of the arena and hitting the trails. She loves being groomed and brushed, and is a calm, steady trail horse. She lives at home with Vanessa, but gets to come in for some sessions and goes on the retreat.